When the Backstreet Boys hit the Rose Garden for a sold out tour date, they rode a teen tidal wave that’s been sucking fans into the undertow for decades. Their rise has followed a familiar recipe: take three or more young men, dress them alike, play up an edgy-yet wholesome persona, add bright lights and music and voila - instant boy band. As dependable as your grandma’s cookies, that recipe transformed the Backstreet Boys into one of the best-selling pop acts ever. And before their Rose Garden performance, their legions of mostly pre-teen and teenaged fans whipped themselves into a frenzy outside. Ear-splitting screams of "We love the Backstreet Boys!” filled the air. One fan in town visiting from Chicago tried to explain the allure: “The Backstreet Boys were like, the first boy band ever." Not quite. But an historical memory lapse might be excused in people born at the end of the Reagan Administration. They don’t remember groups like New Edition. Or New Kids On The Block. Or even their predecessors: the Jacksons and Osmonds, who caused the same screaming fits when Backstreet fans’ parents were young. Carol Lacey brought her daughter to see BSB (as the Backstreet Boys are referred to by those in the know). But she remembers her own teen idol. "Probably Bobby Sherman. That really dates me, and I never saw him. But I know how it is to like a group and you want to go see 'em." So tickets for the concert were a Christmas present for her daughter. "When I was little my mom brought me to see Andy Gibb at the memorial coliseum,” recalls Lisa Watt. So she carried on the tradition with her little girl. For Todd Larson, escorting his young daughter for the night, a 1980’s rocker fit the bill. "I guess my teen idol was Bryan Adams. I went to one of his concerts and I guess he’d have to be my teen idol,” Larson said. 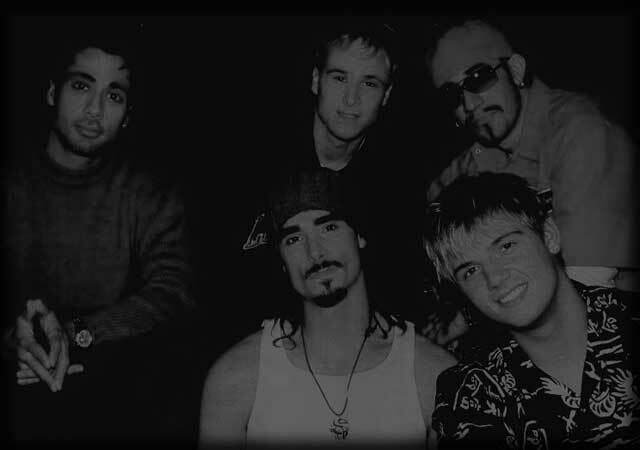 These days, Bobby’s clean-cut good looks, Andy’s hair and Bryan’s wail have been replaced by the goatees, dreadlocks and bad-boy posturing of BSB’s Nick, Howie, A.J., Brian and Kevin - and new breathless tales of brushes with greatness. "They're just cute,” explains 12-year-old April Lacey. “Hot!" interrupts her year-younger friend Carrie Williams. "I love their songs," she says. Lacey agrees: “They're sweeter than N'Sync songs." As the Backstreet Boys took the stage heralded by darkness, explosions and other pyrotechnics, parents watched thousands of young girls, and some young boys, yell and stare teary-eyed as the heartthrobs for the new millenium broke out into familiar songs and somewhat suggestive dances. Judging from the packed Rose Garden seats, the Backstreet Boys have found the musical sweet spot: suggestive enough for teens, yet wholesome enough for parents. Alex Hempy was one of the few boys crowding the arena. "I was wishing for some tickets for Christmas,” he explained. “And Santa gave them to me." Ian Becker’s mom chaperoned him and his younger brother to the show. "My mom likes 'em. Because they sing a song about their mom." And years from now, when these fans are moms and dads themselves – they’ll take their kids to see some mid-21st century teen star, following in the Backstreet Boys'well-choreographed footsteps.